Welcome to my website! As a most experienced Real Estate Agent I can help you find the home of your dreams, sell your property, and get started with your mortgage. My knowledge of the local area and market will be valuable in helping you find the right home in the right neighborhood. It's been said that more people in the United States have real estate licenses than drivers licenses! That's because it's a relatively easy profession to enter into, but a difficult one in which to make a living. 'Charley' her real estate career in 1973, and has been a full time Realtor continuously through the good and not-so-good markets. The discipline necessary to succeed in real estate became immediately evident, as mortgage interest rates were high and the average price of a home was only $17,500! Hard work and persistence, a commitment to ongoing education and diversification, and the implementation of creative and innovative marketing strategies, as well as a tireless and honest commitment to her clients, has resulted in an almost 34 year successful career. 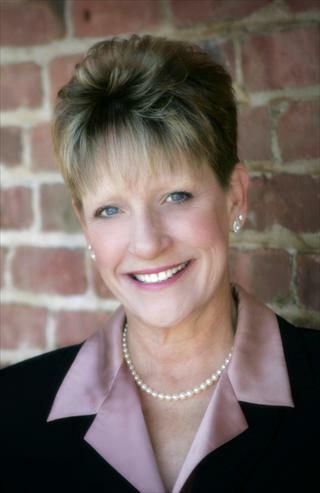 She has been recognized as one of Sacramento's foremost real estate professionals since 1986, when she was recruited by the prestigious Coker-Ewing Co. of Roseville. Her motto was always that "People Don't Care What You Know Until They Know That You Care." Even today her former clients call for advice and refer their friends and family. Their own children, who are now marrying and purchasing homes, are calling Auntie 'Charley' for help. She has also mentored over 200 new agents, many of whom consequently became successful in their own right. I feel extremely blessed with the staff and sales consultants who are on my team. For example, my transaction coordinator, mortgage broker, title companies, termite inspectors, stagers, movers, cleaners and most important my extensive legal staff, have many years of proven excellence in real estate. I will be happy to provide their references. Additionally, I have many past client references, accolades, thank you letters and awards available should you need them during your selection process and I will allow you to access their names and phone numbers. My byline of 'EXPERIENCE IS REASSURING' did not come without many challenges and years of focused hard work, but it says who I am and what I get up for every morning: "To Have Fun, Make Some Money, And Contribute To Other People's Lives!" Thank you for interviewing me and considering me to represent you. You will find me service-driven and integrity-based, and I will NEVER take you for granted! Thank you for visiting now, but I look forward to meeting you in person soon! SEND ME YOUR WISH LIST AND LET ME FILL IT! WANT TO PURCHASE A NEW HOME QUICKLY? Makes You As Good As An All-Cash Buyer! Of Real Estate Sales And Marketing Experience!